Boyfriend sweaters, just like boyfriend jeans are on my list of top favorites! This sweater is comfy and loose, yet still manages to have a girly feel! Picked up this sweater this past weekend on sale! Love this color! So fun and cheerful! Great outfit. I love a boyfriend sweater. I just ordered one from J Crew with the leather pockets. I can't wait for it to arrive. 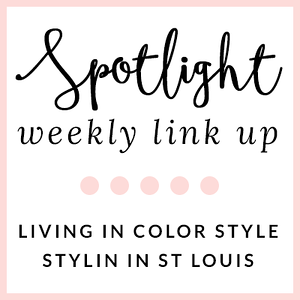 Don't forget to stop by tomorrow and link up for my weekly Tres-Chic Fashion Thursday Link Up. Thanks Agi! I know which one that is! Such a cute sweater! 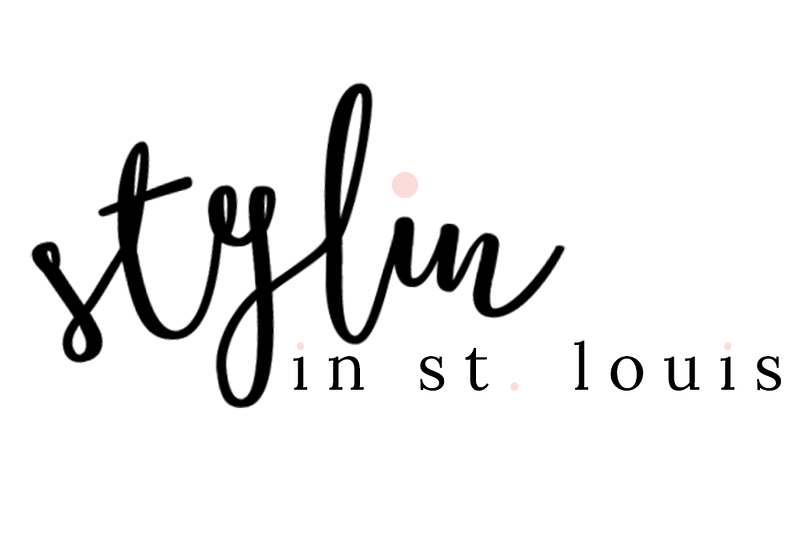 Can't wait to see how you style it! I love these colors together! Two Thumbs up! 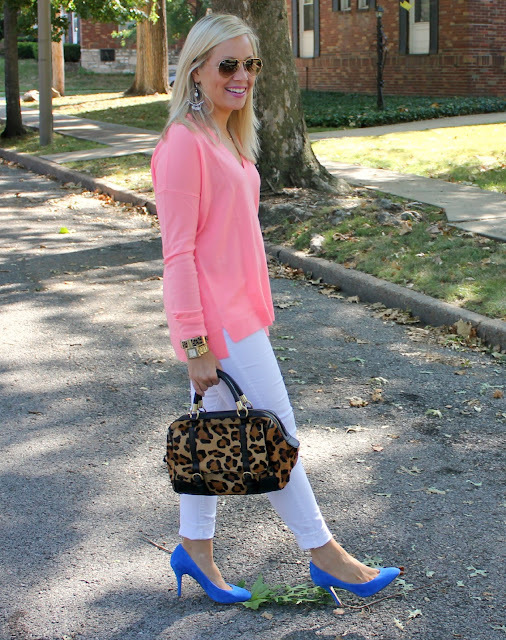 I love how the coral looks against the leopard! It looks sooo comfy too! Very comfy outfit! Thanks Sharon! I love boyfriend sweaters too. This one is some kind of wonderful. The color pairing here is stunning too! Thank you! Coral and Blue! Such a fun combo! Thank you! They are so fun! I got these shoes on super sale this past July! I have stocked up on so many fitted cardigans and sweaters over the years, and could kick myself because I am just now realizing boyfriend sweaters are so much more fun! Adore this one, and love it with the bright pumps! Thanks Emily! I love pretty much any sweater. Boyfriend sweaters are just so comfy! Love this adorable and cozy look. Boyfriend sweaters are wonderful. And I really love that bag! All those colors together are so wonderful. Cuteeeee! Rock that white girl - who cares about silly Labor Day rules! You look FAB! Thanks Nikki! I have been wearing a lot of white lately! love it! I am a big fan of the boyfriend sweater as well, as long as the boyfriend jeans aren't paired with it. I agree! I wore boyfriend jeans today, but with a fitted sweater and blazer. Two loose items are a giveaway. I need a sweater like this in my life! 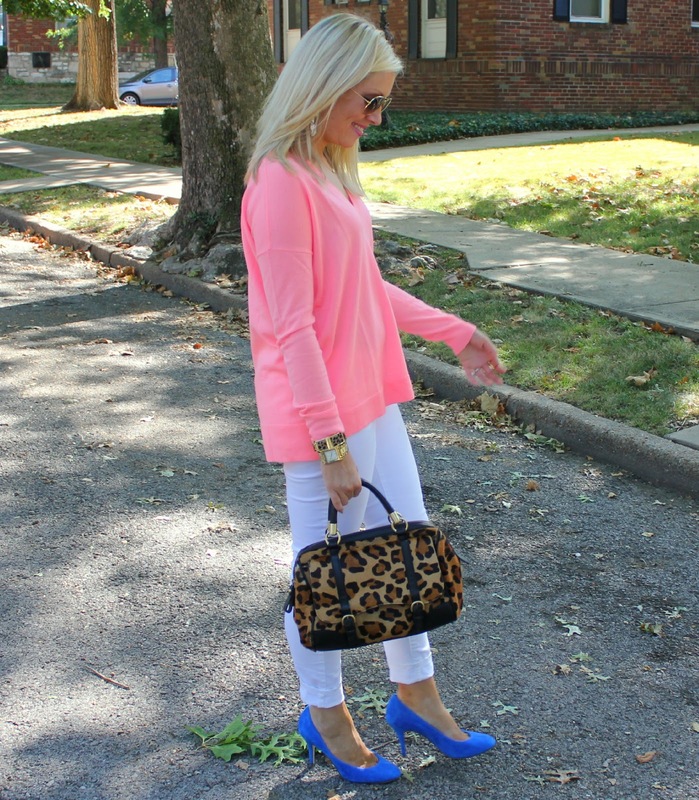 Love your mix of pink and cobalt. Thanks Katie! They are super comfy! Love, love, love to boyfriend sweaters AND jeans. This is a super cute outfit and I love that you're rocking the brights into September. It's still so warm in most places and I don't understand how people are always blogging such fall-like outfits so soon. I agree! It was so hot again here today! Love bright colors! The sweater is awesome - but that bag ... I think I may need that bag! I don't know what I love more about that sweater...the cut or the color! hope you're having a fabulous weekend, girl! Let's talk about how much I LOVE this outfit! Seriously that boyfriend sweater is to die for! DO you mind me asking what size you ordered? I'd love to snag one! Thank you! Love the boyfriend sweater. I had to buy two! I got an x-small in this sweater. 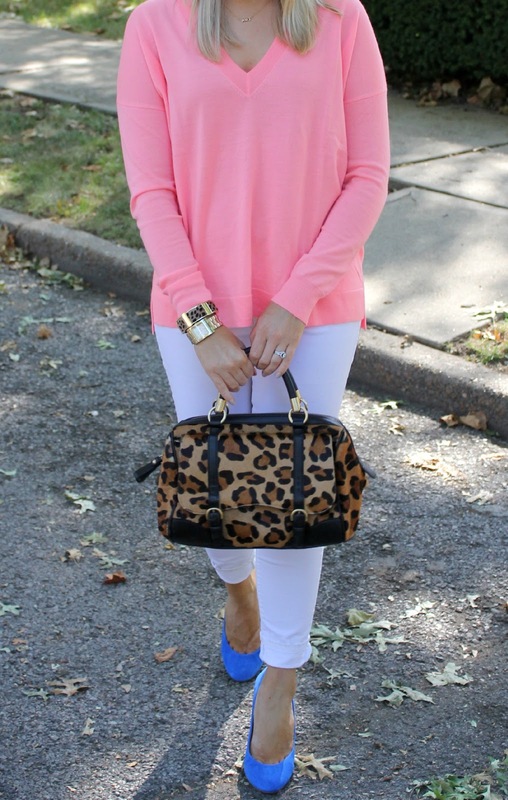 I need to give my loose V-Neck Sweaters a try and pair them with Girly, Bold-Colored Pumps like you have done here. This look is truly beautiful. =) I love the sweater and especially the shoes - I am looking for a similar pair, Jaci.